Years ago when I was learning to paint in watercolor I realized that there were many wonderful watercolor painters who could paint but did not know how to teach. There are many books and videos on the web, and certainly you can learn from then, but watercolor is a medium that is a process to learn in order to paint successfully. After taking workshops and classes from many artists I learned what works and what doesn’t. What I have put together is a comprehensive approach I call the “building blocks” of watercolor. I have been teaching watercolor for the past 10 years, and have found a real joy in seeing my students enjoy and grow in their new found art. I keep my classes small, no more than 6 students, so there is a lot of individual attention. 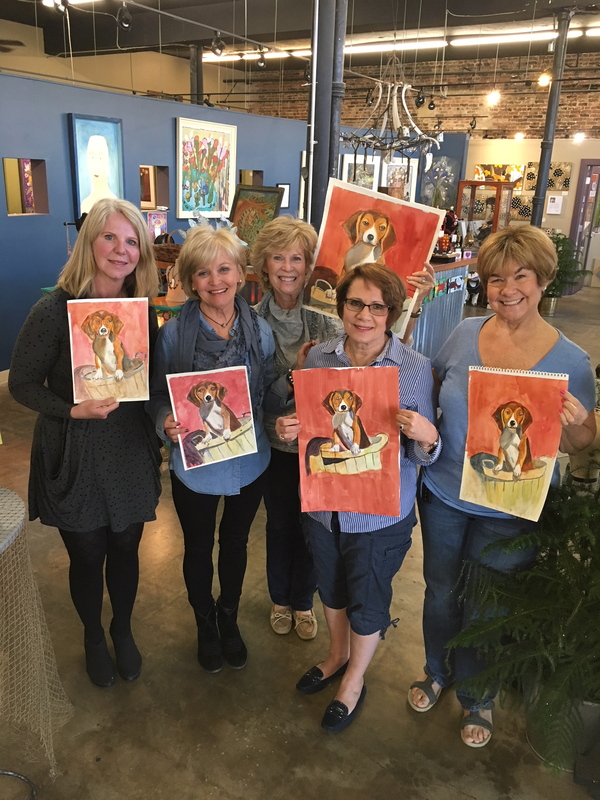 This class will provide instruction in basic watercolor techniques through step by step demonstrations and one on one instruction. Each week I will do different projects to develop your skills to enjoy this beautiful, expressive medium. no experience is required. The emphasis is on fun. 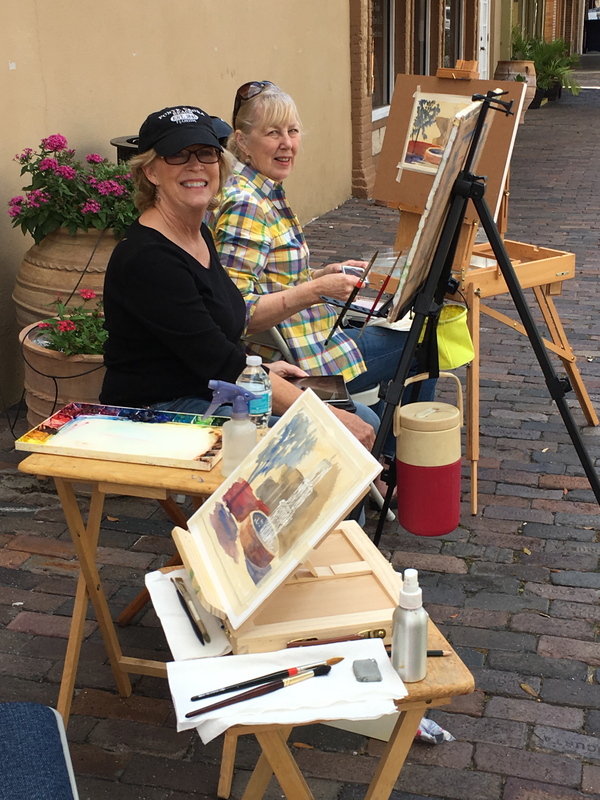 This class is for students who have taken Watercolor I or feel comfortable in the medium. This class further explores technique, composition and perspective, and use of color and value. Working from photos and life, I teach by doing step by step demos which the students follow. I also work on drawing skills. The goal is to develop into doing independent art projects. Whenever possible I teach plein air painting outside at different locations. $ 25 for each class or $95 for a session of 4 classes. It does not have to be in continuous order. You will get a registration form and materials list by contacting me or picking them up at the gallery. Your registration is secured with a $25 downpayment. Private lessons are also available by appointment. Arrange a time with Cindy that will work with YOUR schedule. Cost: $20 per hour. If there are two or more $15 per hour. Contact Cindy at 407-325-6130 or by email at csturlaart@gmail.com. Credit cards are accepted.